His Excellency's strong intervention echoes what he said in June this year at a pro-life conference organized by the Catholic Bishops' Conference of Nigeria in Abuja when I had the honour of addressing a private meeting of the Catholic bishops. 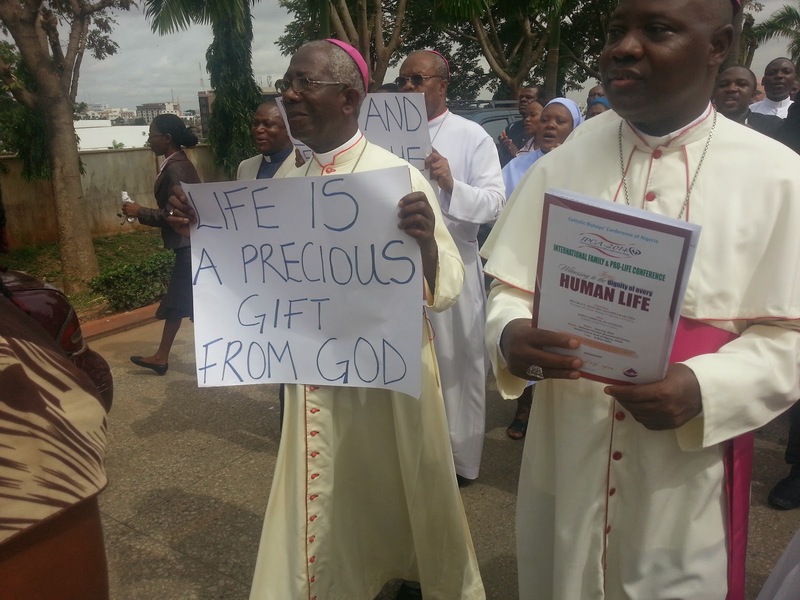 At their pro-life conference, Archbishop Kaigama said that Nigerians refuse to be terrorised by the abortion lobby. We are confronted with some issues, and sometimes [they are] quite perplexing. We recently had a big conference on pro-life issues, and in that conference, we came out very clearly to ascertain the fact that life is sacred, marriage is sacred, and the family has dignity.